How much do the materials of the robot cost? 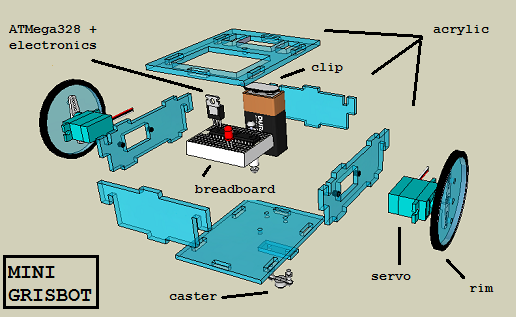 Costs not included: laser cutting service, switch, labor for servo conversion and pre-soldering (if any), hardware (ie bolts and nuts). 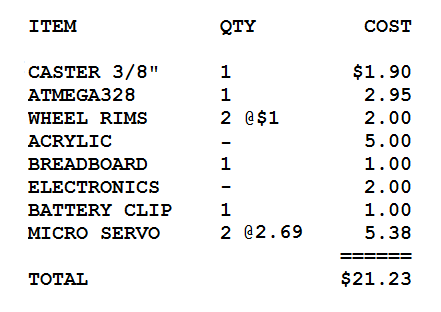 This entry was posted in Uncategorized and tagged bill of materials, grisbot, robotics. Bookmark the permalink.